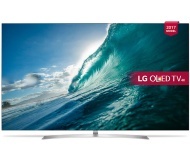 alaTest has collected and analyzed 356 reviews of LG OLED65B7 Series. The average rating for this product is 4.9/5, compared to an average rating of 4.6/5 for other products in the same category for all reviews. Comments about the design and sound are on the whole positive. The price and usability also get good views. There are some critical reviews about the reliability. We analyzed user and expert ratings, product age and more factors. Compared to other products in the same category the LG OLED65B7 Series is awarded an overall alaScore™ of 89/100 = Very good quality. The B7A is basically identical to the best-performing TV we've ever tested, but slightly cheaper. Amazing TV, very happy with my purchase. I purchased my TV a month ago and I am very pleased with it. It is very easy to access the internet and watch stuff using the remote, as well as bookmarking pages, which I found difficult on my previous Samsung TV. great features, great picture and sound. Great picture quality would definitely recommend looks amazing you definitely won't be disappointed. I bought this a couple of weeks ago, went into our local store and the guy was really helpful and gave us some good unbiased advice, and we are really pleased with this television, great clear picture and sounds good. This was upgrading from a five year old Samsung 55 6 series, it's like going for laser eye surgery, you can literally see everything and games look silky and flawless. I can't recommend it enough.